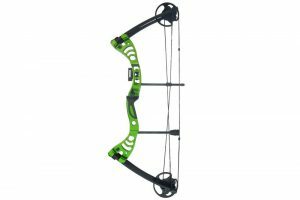 Whether you’re looking to hunt, compete, or try some target practice, a compound bow is a good weapon to work with. 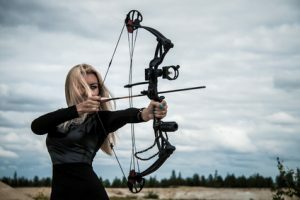 Rising in popularity over the past few decades, a well-made compound bow requires less energy to draw, is easier to control, and is usually mounted with a sight, or scope, to improve accuracy by allowing you to see a more approximate image of where your arrow is pointed before you shoot it. While not a necessary addition to a bow, many people choose to use the benefits of a sight for themselves. The sight is what will allow you to quickly train your shots to hit with precision and give you a definite advantage in your endeavors. As such, it’s vital to know the ins and outs of how to use compound bow sights so you can make the most out of your skill. 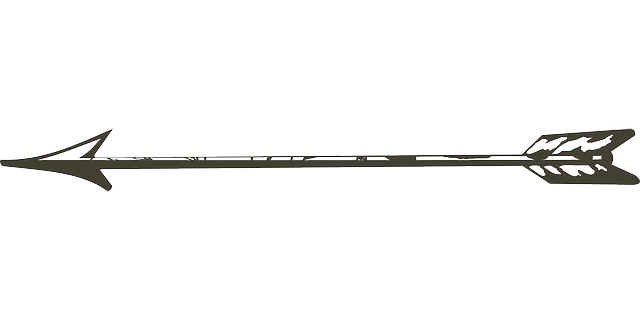 There are four main types of bow sights, each with a different purpose and way of functioning: Movable pin sights, fixed pin sights, pendulum sights, and competition sights. Moveable sights have one pin that can be easily moved up and down to focus on a target. Some come with prelabelled distances on the piece and some allow you to custom set your own numbers. They allow for easy and quick adjustments on the go. Fixed pin sights have multiple pins that mark distances at even increments, giving you a good approximation of your target without any fuss. They can still be adjusted between shots, but it will take more time and will be a more difficult process. Pendulum sights, also known as tree stand sights, are ideal for aiming downhill, from a tree, or in other elevated areas, but don’t offer much advantage on flat or uneven ground. 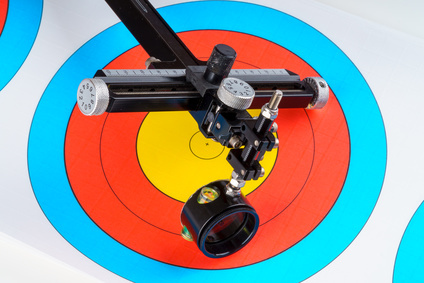 Competition sights cost much more but offer a wide variety of adjustments, measurements, and precision enhancers to make each shot as acutely accurate as possible. 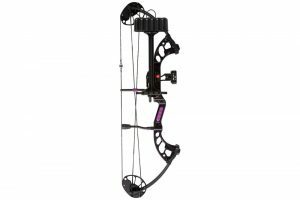 When choosing the best sight for your compound bow, it’s important to figure out which kind will best fit your needs as an archer. Once you’ve chosen a sight, you’ll have to mount it to the bow. While a straightforward process, it still has to be done correctly to ensure accuracy and to protect both you and the bow from damage. Most instruction pamphlets will walk you through the basic steps of positioning and screwing it onto the riser, but there’s more that needs to be done for the sight to be considered fully installed. It will need to be adjusted, so start by fine tuning the distance between the ring to the riser. If you move it closer, it will be easier to keep it locked onto your target, but the shots will be less accurate. The opposite is true if you move it further away. Figure out a good point for you that doesn’t sacrifice either accuracy or ease of use. Then, if your sight allows you to, fiddle with the second and third axes. The second axis rotates the pins so their line and the bow stay parallel to each other, while the third axis should make the ring and bow perpendicular. With that set up, from there you should be ready to start sighting in your bow. Since there are different types of bow sights, there are different processes behind sighting them all in. As the most important part of figuring out how to use compound bow sights, each way takes from a few rounds of arrows to a few days of trial and error depending on your skill. Take your time to keep yourself from fatigue that will throw off the consistency of your test shots and mess up your adjustments. The top pin will be the one you base the rest of your pins on, so it will be the one that gets the most experimentation to get exactly right. 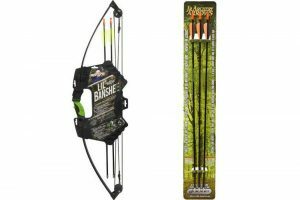 Start by standing just five yards away from your target and shooting a few arrows. If they land high, move the pin higher. If they land low, move the pin lower. Once you’re consistently hitting the target, move back another five yards and make adjustments, then another five, and then one more time until you’re twenty yards away and still shooting accurately. Now that the top pin is sighted in, you can move onto the next ones. Sight the remaining pins in to thirty, forty, fifty, and sixty yards. With that, you’ll have an accurate judge of distance and be able to hit your targets easily. Most movable pin sights come with pre marked distances, but you can set up your own with just tape placed on the distance strip. Pick a starting point, like ten yards, set the pin there, and keep shooting and adjusting until you’re hitting dead each time. Then make a mark on your tape, move back to the next distance you want, and repeat the process until you’re satisfied with your range. Since pendulum sights are mostly used for shooting down from elevated places, you only need to focus in at around twenty yards. On level ground, set a target and keep firing test arrows and adjusting until you’re hitting dead every time. From there, when you take the bow up into the trees or other high areas, it will be at a good estimate and should adjust itself slightly to match any changes in elevation. 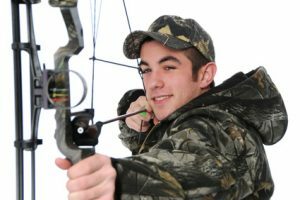 No matter what the specifics are of your archery hobby, learning how to use compound bow sights will be an immense help. Seasoned experts may be able to judge distances and quickly adjust by themselves, but a specialized sight never hurt anyone. 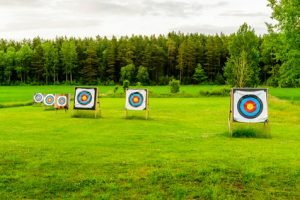 Once you’ve gotten yourself outfitted with the right sight and properly calibrated, you’ll be able to improve your archery skills and enjoy the benefits of always knowing exactly where your arrows will land.